Four teams have been crowned Ontario Cup champions, as the provincial championships concluded for a number of divisions in Vaughan this past weekend. Three of those winning teams hailed from the Vaughan Soccer Club. In a largely unprecedented result, Vaughan won Ontario Cups in the U-18 Boys and Girls divisions, as well as won the U-21 Men's Ontario Cup. It was the fifth year in a row the Azzurri have won the U-21 Men's Ontario Cup. The Burlington Bayhawks won the only other Ontario Cup, downing the Markham Lightning to win the U-21 Women's title. The Ontario Soccer Stadium was host to clubs from across Ontario, as the provincial championships for the four divisions wrapped up. 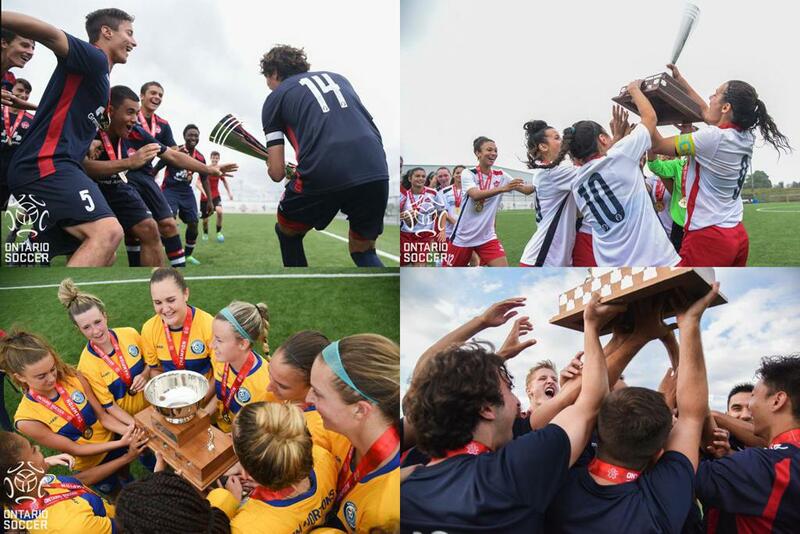 The Ontario Cup is the largest competition of its kind in Canada. One of the oldest sporting events in the country, the Ontario Cup was first staged in 1901 and each year 12,000 athletes from all across the province compete for their division titles.